For those of you who have this remarkable channel, I know many of you were blessed by many (if not all!) of the Christmas movies that premiered on Hallmark Movies & Mysteries last year! I know I certainly was, along with my family! Most impressive was the depth of heart and character found in these films, as well as humor! With SEVEN films, this was Hallmark Movies & Mysteries biggest New Christmas Movie offering, yet, with stars that matched and rivaled the Hallmark Channel - including: Cameron Mathison, Mira Sorvino, Erin Krakow, Niall Matter, Wendie Malick, Tricia Helfer, Marc Blucas, Lisa Durupt, Marguerite Moreau, Mike Faiola, Brady Smith, Emilie Ullerup, Kristoffer Polaha, Sharon Lawrence, Crystal Lowe, Kimberly Sustad, James Brolin, Mena Suvari, John Reardon, Lindy Booth, Robin Dunne, and many more!!! Wow!!! 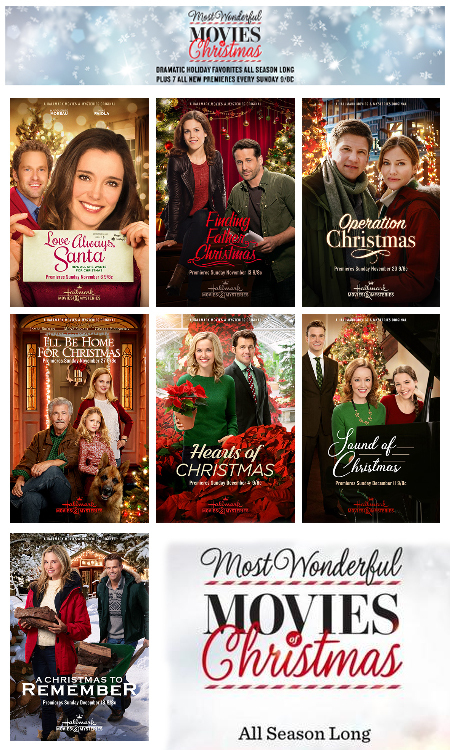 Your movie choices are: "Love Always, Santa," "Finding Father Christmas," "Operation Christmas," "I'll Be Home for Christmas," "Hearts of Christmas," "Sound of Christmas," and "A Christmas to Remember." This is where you can share *Your Take* on one of the most recent blocks of Original TV movies! 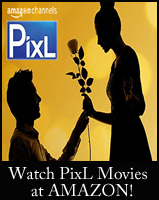 In addition to the Hallmark Movies & Mysteries *CHRISTMAS* Movies (today), we will also be doing the "Winterfest" and "Countdown to Valentine's Day" movies - soon! Stay tuned for those posts! 1.) Which Hallmark Movies & Mysteries *Most Wonderful Movies of CHRISTMAS* original movie did you like/love the most? 2.) Which Hallmark Movies & Mysteries *Most Wonderful Movies of CHRISTMAS* original movie poster (above) do you like best? I almost considered narrowing it down to only 1 or 2 favorites, but let's face it, there were so many good ones from HMM this past year, I thought that just might be an impossible feat! Even 3 - is quite difficult to narrow it down to! Looking forward to hearing all your responses!!! Feel free to briefly share your thoughts on all the *Christmas* movies!!! *Please note: Any comment that contains language or is demeaning to the actors intelligence, weight, or their overall appearance, etc... will not be published. If you didn't like a particular movie or the story, it's fine to share that. However, let's try to keep this positive of what we liked best about the "Most Wonderful Movies of CHRISTMAS"! Thank you! 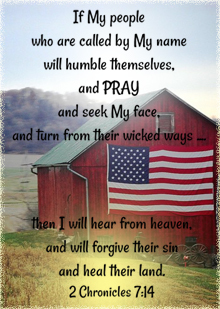 As I shared before... Yes, I do have my favorite Christmas Movies, as well! In fact, I will be nominating 12 Christmas Movies from ALL the Networks for the annual "It's a Wonderful Movie" Awards - Coming Soon! Your opinions/picks below may be a factor in the nomination process! Thank You to Everyone who takes the time to share in the joy & spirit of the Christmas season by sharing your Christmas movie favorites - below!!! And remember... "Never Stop Believing!" Finding Father Christmas was my favorite!!!! Also Operation Christmas was great story featuring our great military and what they go through and what their family goes through and the sacrifice they make to keep us all safe!! Great job on that!!! Net, I agree with both of these movies. Finding Father Christmas was a totally new story that's never been done before. I loved it for that reason, but more important I loved the story! Glad you both enjoyed this movie! I know many fans of Erin Krakow liked it very much! I thought it was extra fun to see "Betty" from "Christmas Cookies," as the owner of the Inn, again! Runners Up: A Christmas to Remember and Finding Father Christmas. Note: As a Rule, I enjoyed the movies On Hallmark Movie & Mysteries more than on the regular Hallmark Channel. Found them to be more emotionally involving. I'm so glad you also enjoyed the HMM Christmas movies so much, Becky. I, too, loved the deepness of each character and story. It certainly is a whole different viewing experience than the Hallmark Channel, and it was wonderful to see so many great new HMM Christmas movies!!! Now this is the one I've been waiting for! Loved all the HMM movies, but I'll try to narrow it down. So true, Sabrina! The HMM Christmas Movies were all so good - it was most difficult to choose a favorite!!! But, that's actually a good thing!!! Runner-Up: Finding Father Christmas...Great chemistry between Erin and Niall. Loved seeing Wendie Malick again in a Hallmark movie. Thank you for sharing your favorites!!! My favorite by far was Finding Father Christmas. But two others I really enjoyed were A Christmas to Remember and Operation Christmas. My favorite poster is Hearts of Christmas. I really wanted to like this movie more than I did. What's very interesting though is that my overall two favorite movies from both Hallmark Channels are "A Nutcracker Christmas" and "Journey Back to Christmas", which although they debuted on the regular Hallmark Channel, they immediately were moved to the Hallmark Movies & Mysteries Channel because their story lines fit more over there. I find the movies on Hallmark Moves & Mysteries (Christmas or otherwise) are full of depth and heart - just like you, Jim! So, of course, that makes sense that your favorites from the Hallmark Channel fit best on HMM! This is a challenge! Even though there are fewer to choose from than on the regular HM channel, it's even harder to pick favorites, because they were all so good! I don't have a definite, hands-down favorite because I loved five of these pretty much equally. My order of favorites keeps changing, but at the moment, this is my list. 1. Sound of Christmas - This is the one I keep rewatching. Lindy Booth and Robin Dunne are so great together, and I love movies that feature music. Also enjoyed the emotional twist in the story having to do with Robin Dunne's character's boss. 2. Love Always, Santa - Such a well written, well acted story that made me laugh and touched my heart. I hadn't seen any of the actors before, but they were fantastic, especially the little girl! 3. Operation Christmas - Excellent, realistic, emotional story. Tricia Helfer and Marc Blucas were amazing in their roles. I really felt for their characters. My favorite poster is Operation Christmas. I know, Amy, right? It is still a challenge! You would think that having less to choose from would make the deciding on a favorite somewhat easier. Not in this case. Any of these 7 HMM Christmas movies easily could be anyone's top favorite! My favourite by a long way Finding Father Christmas. Although there was nothing cutting edge to it with the usual Christmas devices and the answer to the "mystery" made obvious very early on it was well plotted and the voice of the film called to me, it was just heart melting. Although all the actors gave good in their rolls this was mainly down to Niall Matter as Ian who gave a "tour de force" performance. I think I've fallen just a bit in love with him! The scene where Ian was pleading with Miranda to chage her mind about a decision she had made was awesome. The fear of losing her, the love shining out of his eyes and the emotion in his breaking voice just turned me to mush! At the end I had such aloverly feeling of well-being. It seemed very true to life and made you pause to think. I hope to see a lot more of Marc Blucas. He was even more impressive in The Irresisible Blueberry Farm. The other five were all pretty equal but nowhere as good as the two aforementioned. Best poster goes to Operation Christmas. I am really, really liked Journey Back to Christmas as well. I definitely gravitate to the lighter, more rom-com-ish and/or whimsical themes and tones of the movies on the main Hallmark Channel instead of the themes and tones of the movies on Hallmark Movies & Mysteries. However, so many movies that I have already loved on the main channel are starting to creep over to HMM (such as "Love On the Air," "Angels & Ornaments" and "The Christmas Ornament") -- so even if I didn't like any of the brand new originals that premiered on HMM, I'd have to end up spending more time on HMM anyway, as that's where a lot of movies that I love are ending up. 1. "The Sound of Christmas." It dawned on me back in December that I seem to enjoy Hallmark Christmas movies with a musical element to them -- such as some sort of Christmas pageant or concert, as in "Angels & Ornaments" and "A Christmas Melody" -- something I never realized until then!! I really like Robin Dunne, and he and Lindy Booth were very good together. Also, some of the music from "A Very Merry Mix-Up" was used in "The Sound of Christmas," which I recognized immediately. 2. "I'll Be Home for Christmas" -- This one has a strong cast. James Brolin is great, and is very charismatic. 3. It's basically a tie between "Finding Father Christmas" and "A Christmas to Remember." I really liked the story in FFC, and I loved the scenery, the people and the town. Wendie Malick is a highlight. But I love a good Cameron Mathison holiday romance movie too, so I couldn't leave "A Christmas to Remember" off the list. All of the HMM movies were great Here is my three. Poster A Christmas to remember. The production of HMM Christmas is so much better than the Hallmark channel. Loved them all. Hearts of Christmas was my absolute favorite, followed by Operation Christmas. Was not a fan at all of A Christmas to Remember, even though I generally like Cameron Matheson. Favorite poster is I'll be Home for Christmas. 3) Operation Christmas..loved the tribute to our Military. My favorite posters are same as above! Love these polls, Net....thanks!! This was really hard because they were all so good! Love the HMM channel! Again, no poster preference. This is great Net! I'm so excited that we'll soon have your favorites from all the channels! For me, I would have to say my favorites were A Christmas to Remember, Love Always, Santa, and a tie between Operation Christmas and I'll Be Home for Christmas for third. Most of my absolute favorites came from HMM last year! I, too, thought the poinsettias in the poster for Hearts of Christmas was a bit too much and not truly relatable to the movie overall. I would have personally liked to have seen more of the medical staff featured on the cover. However... That said, I still very much liked the leads in the movie, as they were fantastic together! I do have the HM channel but I don't watch a lot of television. When I do I usually check to see what's playing. Love you blog and I will tour! Thanks for so much info, I know where to come.........Happy February. Goodness...I had so many favorites! They were all good, though. Lindy Booth & Robin Dunne were on 12 Trees of Christmas on Lifetime movie together & they reunited on Sound of Christmas when they're working together. Their first movie together "Sound of Christmas", on Hallmark Movies & Mysteries. Tabitha -- I probably should have gone to IMDB as soon as I read Robin's comment (in an interview) about the 6 movies, just to see if I could figure out what the other ones are. Robin said (in an interview on the My Devotional Thoughts website) that the first movie he and Lindy did together was called "Teenage Space Vampires." So that one, along with the Lifetime Christmas movie and the Hallmark Movies & Mysteries Christmas movie, gives us 3 of the 6 movies he and Lindy have done. I guess now it's off to IMDB to figure out the other three!! That's five movies. Robin said they did 6 movies together. Thanks for the information But does not sound like my kind of movies. Haha that's probably why I only knew of the two. Same, here, Tabitha! Those others don't quite sound like the "Hallmark-esque" type movies I typically watch - either!!! I do have a "cute" - in case you didn't know fact! Do you remember the woman who played Robin Dunne's assistant Meg in "Sound of Christmas?" Her name is Farrah Aviva and she and Robin are newlyweds! They were married on July 15, 2016! As for the 6th movie with Robin Dunne & Lindy Booth- that one, I suppose, remains a mystery! Or, maybe someone was simply mistaken and there are only 5. Perhaps there is something that is somehow not listed on IMDB for either Lindy or Robin -- in other words, maybe she did a movie that he had a very small role in and it didn't appear on his IMDB page, or vice versa. Or... maybe he and Lindy filmed something that hasn't been released yet? That's a possibility. Maybe they did something that wasn't a traditional "movie" but some sort of other project (an episode of a TV series, maybe? ), and he just said "six movies" to make it easier. There could be a few explanations, but Robin definitely said there were six movies in the interview with Ruth. "Lindy and I have done six movies together over the last two decades – TEENAGE SPACE VAMPIRES being our first (and the one we don’t talk about). Lindy is the best. We’re practically family." I checked on IMDB & Wiki of Robin Dunne & Lindy Booth page so, if it's true Robin & Lindy did 6 movies together but I noticed there's only five movies. Somewhat if there's 6 movies; they're working together in which remind mystery? If necessary!!! Where did Robin Dunne & Farrah Aviva met? Robin Dunne used to be married to Heidi Lenhart. He met Heidi on the set of Little Men: TV Series & it's spinoff with Little Women. If there 6th movies that Robin Dunne & Lindy Booth were in the movie together if they're working with Scott Grimm in the movie called; "Critters", in the bus. Robin Dunne wore blue denim pants & jacket with sheepskin collar & Lindy had red bob hairdo & blue dress. Is it them? Once again, there are no clear favorites, which is a good thing -- nice to see that different themes, roles, etc. appeal to different people. It's hard for me to pick out a favorite poster...they are all similar (but good)! I loved the daughter, too - Lilly in "Love Always, Santa." She was so energetic and imaginative - instantly everyone adored her! I sure hope we see her again in something. I just checked her IMDB profile. Her name is Isadora Swann and according to her page there, "Love Always, Santa" is her only acting credit. Wow! She was truly amazing! I can't believe someone else hasn't snatched her up for another project! She's a scene-stealer for sure - what a personality! Thank you so much, Maria B, for sharing your favorites!!! 1. Hearts of Christmas - I really enjoyed this one. I would say it was one of the best Xmas movie I seen this year. Plot was good and actors did great job. 2. Operation Christmas - another good story. 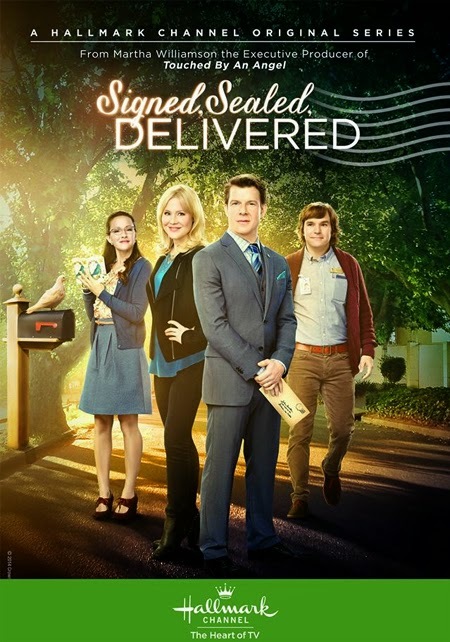 I enjoyed Marc Blucas as a lead. I so agree, Selene! Marc Blucas played a wonderful leading man in "Operation Christmas." 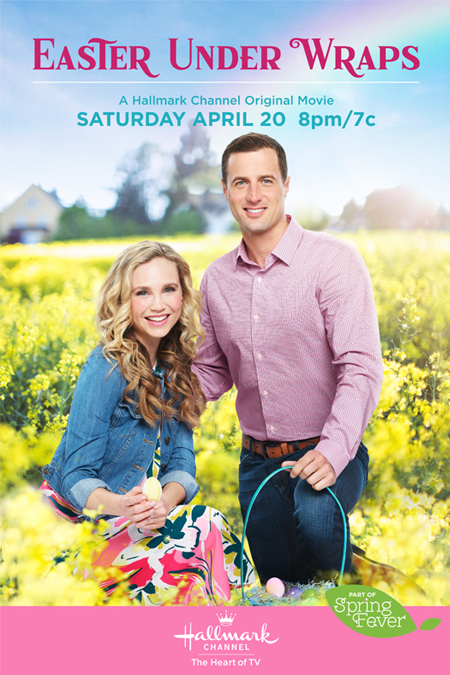 He was also fantastic in the Hallmark Movies & Mysteries movie "The Irresistible Blueberry Farm" with Alison Sweeney! Net I totally agree with you about " The Irresistible Blueberry Farm I loved that movie so much. I have already watched it three times. I totally agree Net and Tabitha. Macr Blucas is awesome. Hope to see more of him. Would love to see him with Alison Sweeny again. I so agree, Amy! Lots of my top Christmas movie favorites came from HMM, too! I still haven't watched all the HMM Christmas movies, but of the ones I've watched so far....I love A Christmas to Remember and Finding Father Christmas. Someone may have already pointed this out, but if not did ya'll notice the house in A Christmas to Remember? It's the same one from Let it Snow. That is so cool, Melissa! I will definitely have to look again! I always love discovering interesting things like that! Thank you so much for sharing!!! Really enjoyed the HMM Christmas movies the most for 2016. Me too, Erin, there was so much heart in the HMM movies this last year! 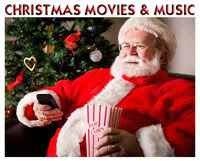 My favorite Christmas movies: 1)A Christmas to Remember, 2) Love Always, Santa and 3) Sound of Christmas. Same for posters. My favorite was Love Always Santa. I watched it probably 4 or 5 times. I have it recorded so I am sure I will watch it more throughout the year. Finding Father Christmas and Operation Christmas both came in at a close 2nd. I have those recorded too!! On the movie posters, I like them all! But would have to stick with my top 3 movie posters. 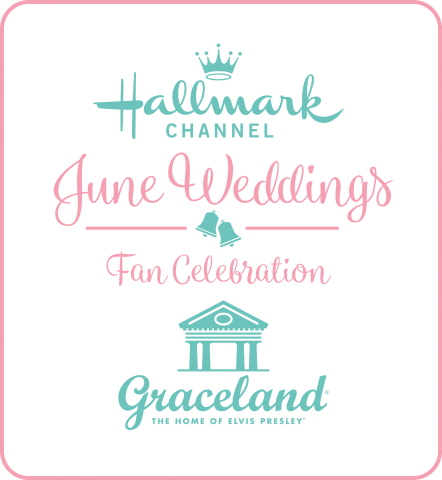 Honestly it was another remarkable year for the Hallmark Channel and Hallmark Movies & Mysteries Channel... I can never get enough during the holidays and all throughout the year. Love Always Santa is definitely the best Hallmark christmas movie from last year! So very well made. Great actors, wonderful writing and beautiful setting. A Christmas to Remember is my runner up! Looove Cameron Mathison in this. Mira Sorvino was also refreshing. Operation Christmas should be the favorite of all. It is so realistic to what many of our military families face each year. My favorites: Christmas to Remember, Love Always, Santa and Hearts of Christmas.